two single residence grinder pump stations. Collector work included manholes, laterals, paving and surface restoration, and all other appurtenances. The system serves approximately 100 homes and small businesses that had contaminated wells and failing septic systems in an area bounded by Fox Hollow Road and Princeton Avenue Extension. The Authority added major extensions for one existing and one anticipated development during constuction because costs were running so far below budget. 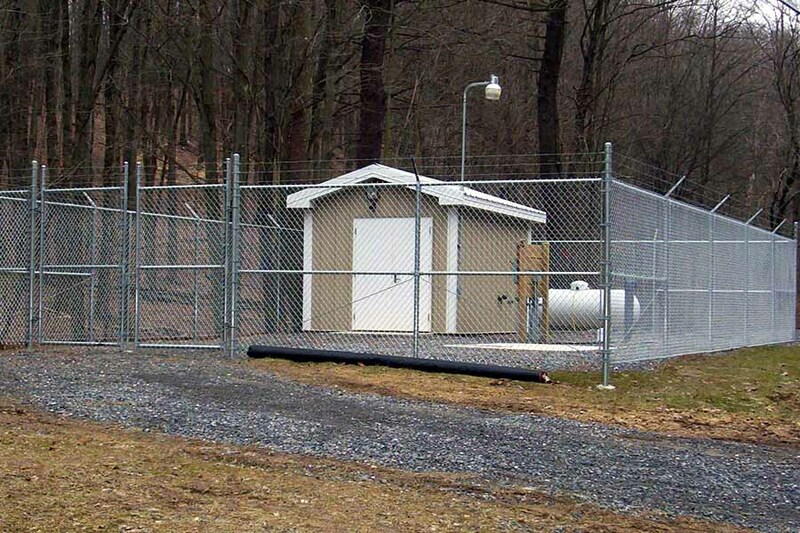 Because of capacity limitations in the Williamsport Sanitary Authority’s Combined Sewer system in Newberry, wastewater from Fox Hollow is pumped over 150 feet vertically to Grimesville Road. The Williamsport Sanitary Authority’s West Plant provides treatment. 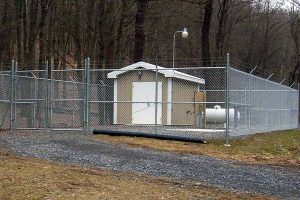 The design and construction were complicated by the presence of gas lines, storm sewers, and a high-pressure water main feeding a water storage tank that serves an elevated zone in the Williamsport Water Authority’s distribution system.